You are here: Home / Food Story / BAGNA CAUDA recipe and history – all you need to know! 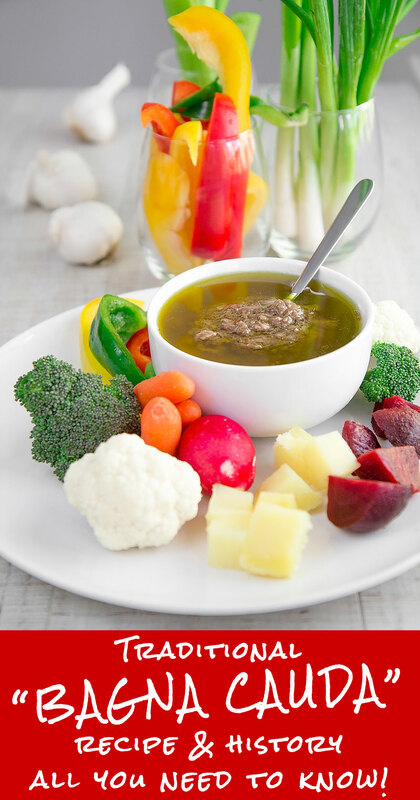 The origin of Bagna Cauda (also called Bagna Caoda) is ancient, and probably it dates back to the Middle Ages during the rise of the economic exchanges between the French and Italian merchants. Indeed, the Piedmontese cities of Asti, Cuneo, and Alessandria use to buy salt in the French region of Provence. 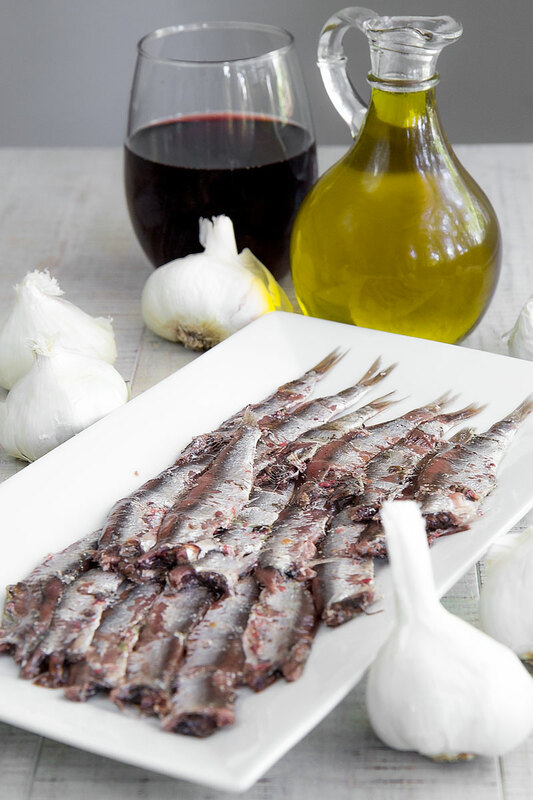 Taking a look at the Provencal culinary tradition, we can find the recipe of Anchoiade, a dip made with garlic, vinegar and anchovies in salt, very similar to the Bagna Cauda, and probably the inspirational to the Italian dish. The Italian merchants started to import anchovies in salt for two reasons: they were delicious, and they were a way to import salt without pay taxes! Along the anchovies likely the Piedmontese people imported the Anchoiade recipe adjusting it to their taste: the Bagna Cauda was born! 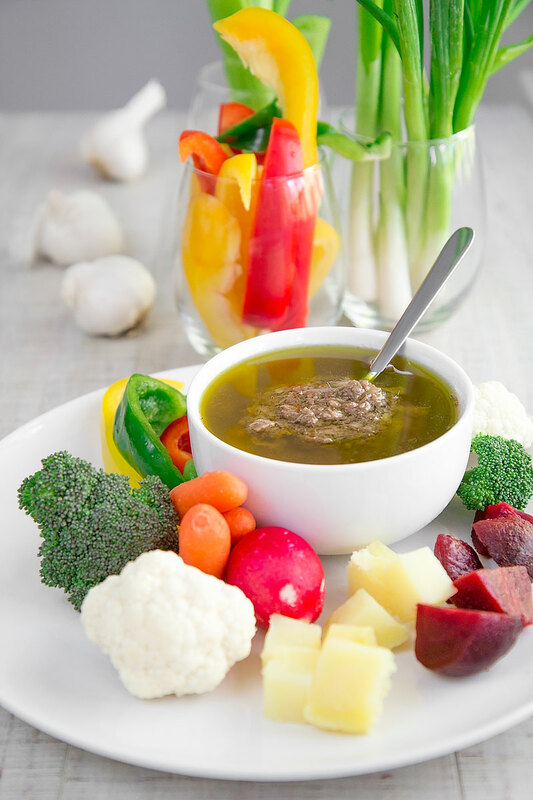 For a long time, Bagna Cauda has been considered a dish for farmers and ordinary people: it was not included in the official Piedmontese cookbooks until 1875 when the Journalist Roberto Sacchetti published the written recipe for the first time. In a few years, Bagna Cauda has become one of the most popular Italian recipes and likely the most worldwide famous Piedmontese dish. It is served either into the family taverns and finest restaurants. The Bagna Cauda is one of those dish protagonists of a ritual. In origin it was a way to share the most precious ingredients, salt, anchovies, and olive oil with the family and make them last longer: everyone use to pick a little of the dip with a vegetable. Bagna Cauda had been typical of the countryside, and served for gathering and festivities, like the end of the grape harvest. The Bagna Cauda is typically served into a traditional Terra Cotta pot called Fojot with a candle inside to keep the dip warm: very similar to a fondue pot. Another Piedmontese tradition is scrabbling one or more eggs with the remains of Bagna Cauda. 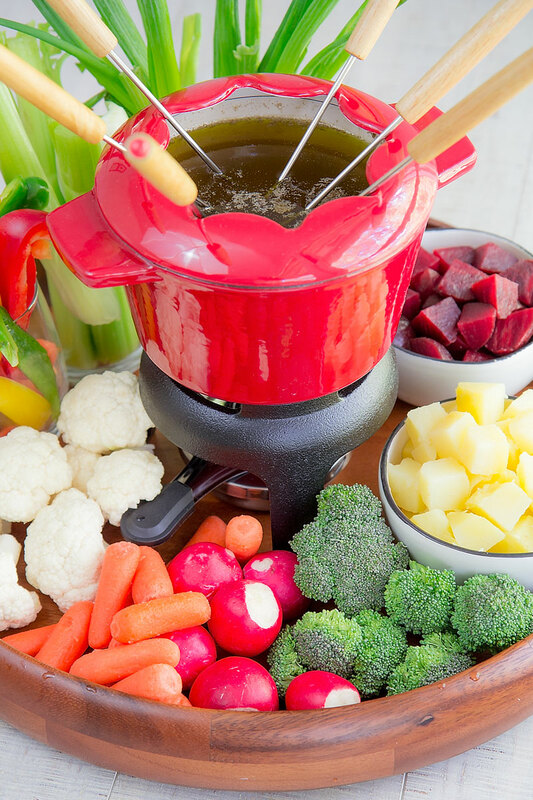 Bagna cauda is served along with plenty of vegetables either cooked and raw. 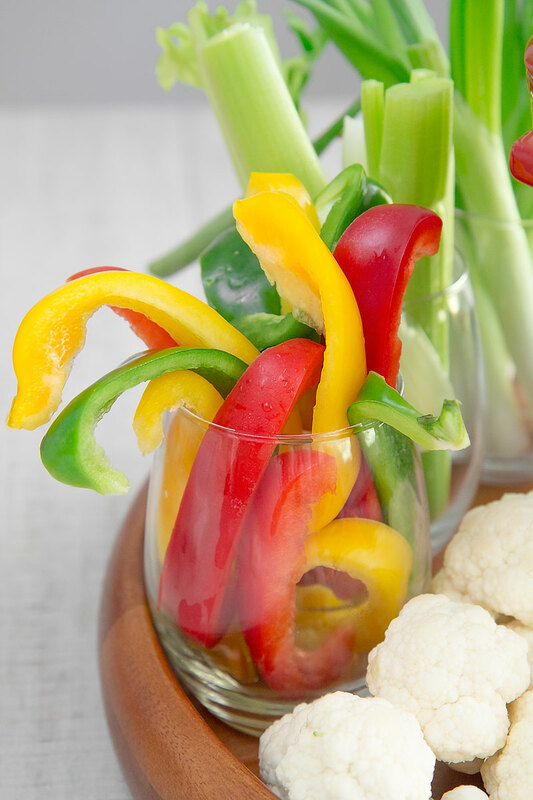 Some example of raw vegetables are: carrots, spring onions, endives, bell peppers, Jerusalem artichokes and cauliflowers. 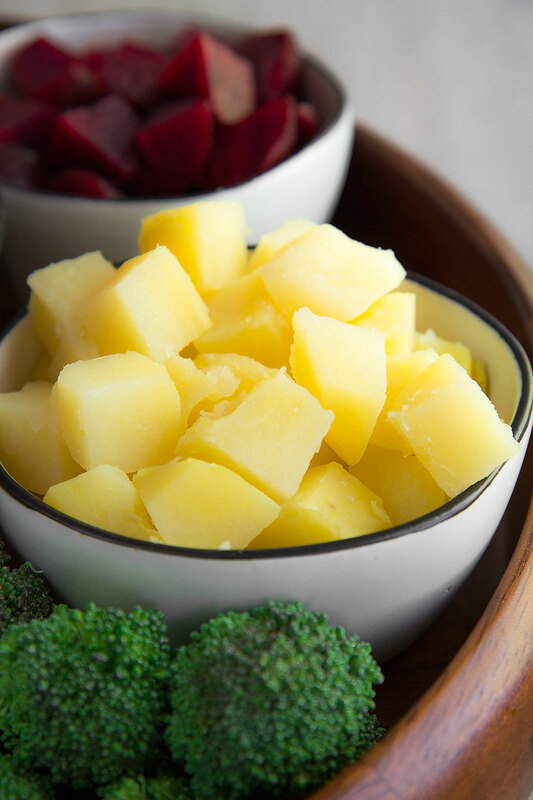 Among the cooked vegetables we can serve boiled potatoes, red and white beets, roasted onions, roasted bell peppers, boiled cauliflowers, roasted squash. Besides the vegetables, It is typical pair with Bagna Cauda with sliced apples, fried or baked Polenta, bread or flatbread. 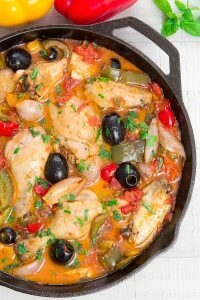 The traditional recipe requires plenty of garlic, and the taste can be a little tough for someone. To fix this, recently some people prefer to prepare the Milk Bagna Cauda: the cloves of garlic are previously boiled a few minutes into the milk to lessen their intense flavor. Another way to attenuate the garlic taste is to reduce the cloves into thin slices and soak them 1 hour into cold water. ANCHOVIES – The tradition wants the anchovies preserved in salt, and I strongly suggest you this option. Anchovies preserved in oil is a decent option, and easier to use, but the taste is not exactly the same. OIL – The common option is prime quality extra-virgin olive oil. Some people love to add 1 tbsp of walnuts oil. GARLIC – As I said, it is possible to mitigate the flavor of garlic with water or milk: this is common but not traditional. A Typical way to correct the garlic taste is opening the cloves into two halves and discard the germ: if green it could be unpleasantly bitter. Bagna Cauda recipe and history - all you need to know! First, rinse the whole anchovies under running water cleaning any trace of salt. 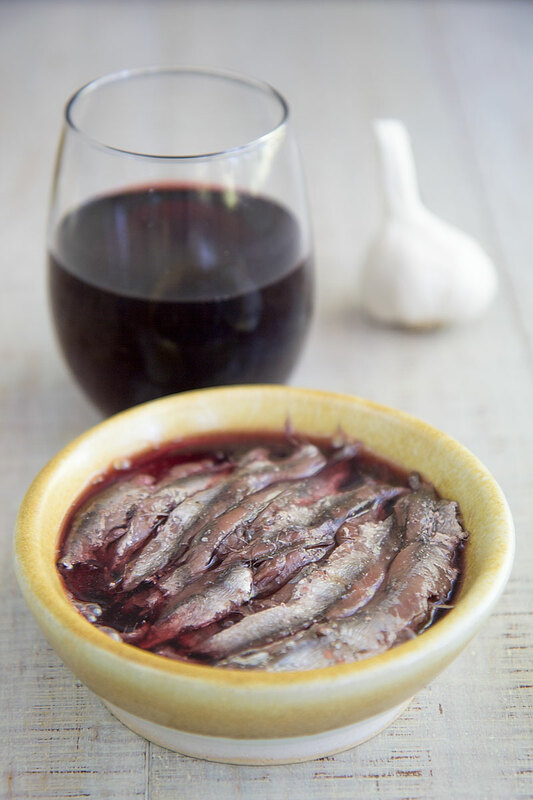 Then, debone the anchovies and discard the fins.Finally, soak the anchovies fillets into red wine for 1 hour. Now let's prepare the garlic. 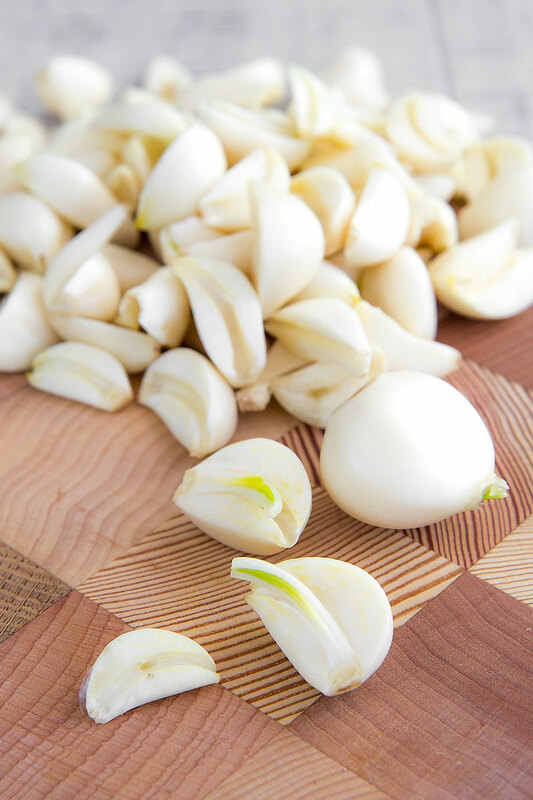 Peel every single clove of garlic, then cut them into halves and discard the germ. Finally, pour the garlic in a little saucepan (you want no space between the garlic and the edges of the pot) along with a cup of olive oil. At this point, place the pot over a medium/low flame. You want the garlic very gently simmering: it has to become tender but still white. 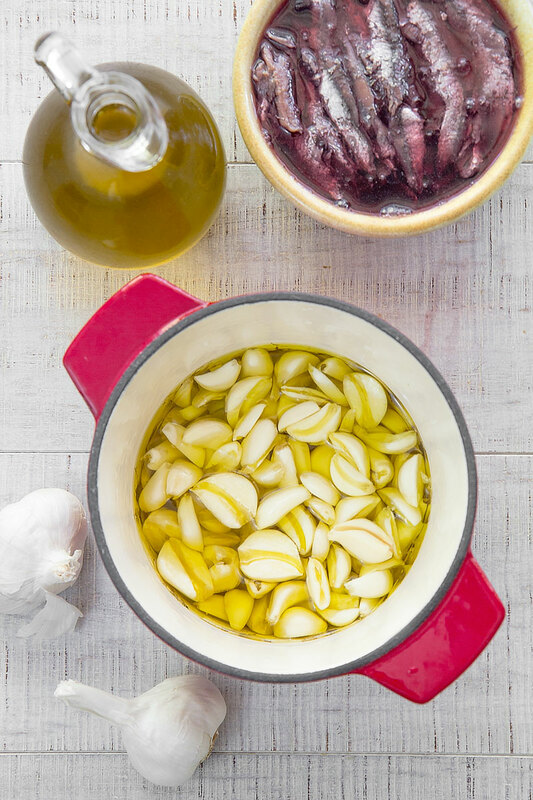 Once the garlic is ready, crush it with a spoon, then raise the anchovies from the wine and add them into the pot. Keep crushing the anchovies and garlic, then add the other cup of oil and cook 10 minutes more stirring frequently. Once ready, melt the butter into Bagna Cauda stirring until consistent, and serve hot along with your preferred vegetables.